The Monthly Treasury Average (MTA) is the 12 month average of the monthly average yields of U.S. Treasury securities adjusted to a constant maturity of one year. It is calculated by averaging the previous 12 monthly values of the 1-Year CMT. The values are calculated by us using the H.15 Federal Reserve Statistical Release data. 12-MTA index is published by the Federal Reserve Board on the first Tuesday of each month. For many, your mortgage payment is your largest monthly expense, and the least flexible. Many MTA Loans are designed to give greater control over your mortgage payment (Flex-payment loans). You can choose one of three-four payment options monthly based on your specific cash flow needs. Interest only loans often are MTA based as well. Your first step should be to run the numbers on our web site to get an idea about MTA and other ARM loans, quote rates, payments and closing costs. 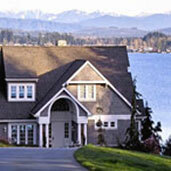 Then, use our network of MTA loan lenders and expert mortgage specialists to find the best loan for your property.